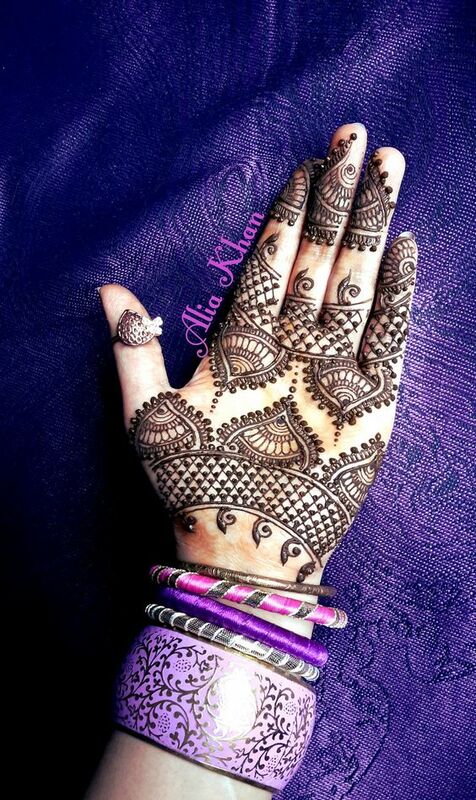 The art of applying mehndi is no simpler than any other form of art and fashion. It requires great skills and potential to create a magic over your hands in no time. 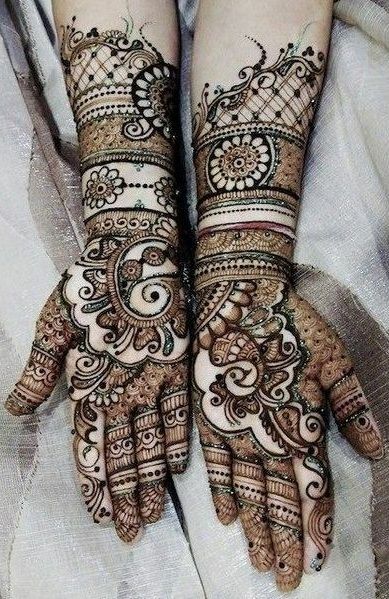 Mehndi has ever been the primary part of all the eastern celebrations. 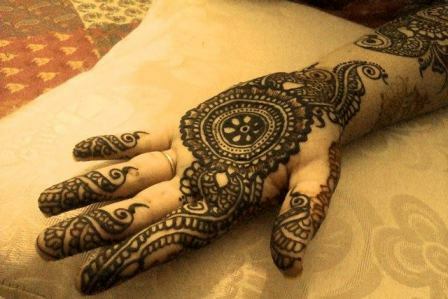 Therefore, the woman of today loves to have their hands filled with beautiful colors of mehndi. Mehndi trends and designs vary according to its various origins. 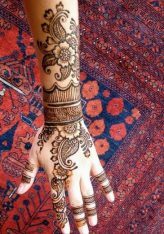 The Art of Mehandi that descended from the Arabic ancestor is now termed as Arabic mehndi which is distinctive from the rest. 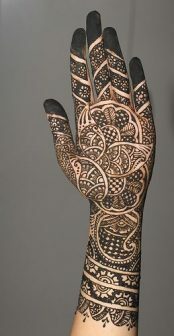 Various Turkish, Pakistani and Indian designs are also equally famous. 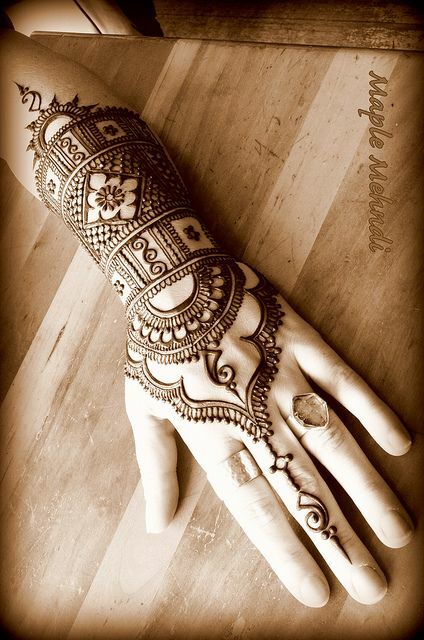 Today we will share the Latest Arabic Mehndi Designs Collection! 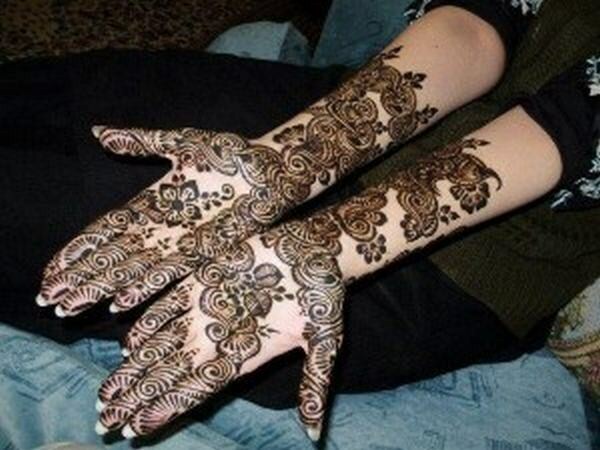 Arabic mehandi styles are somewhat more prominent and distinct. They carry heavily coated floral motifs and patterns. 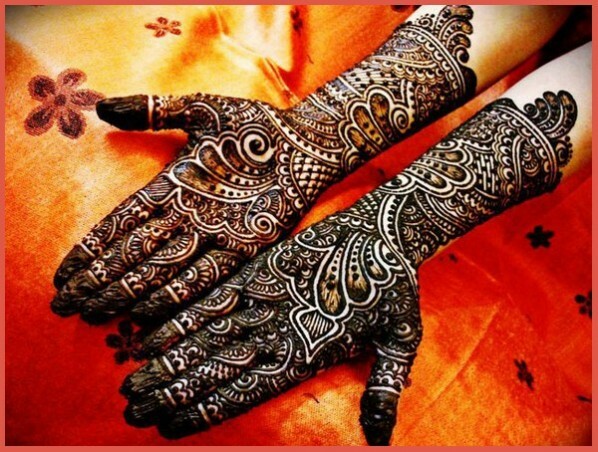 Therefore, girls love to try them out for every fancy occasion. 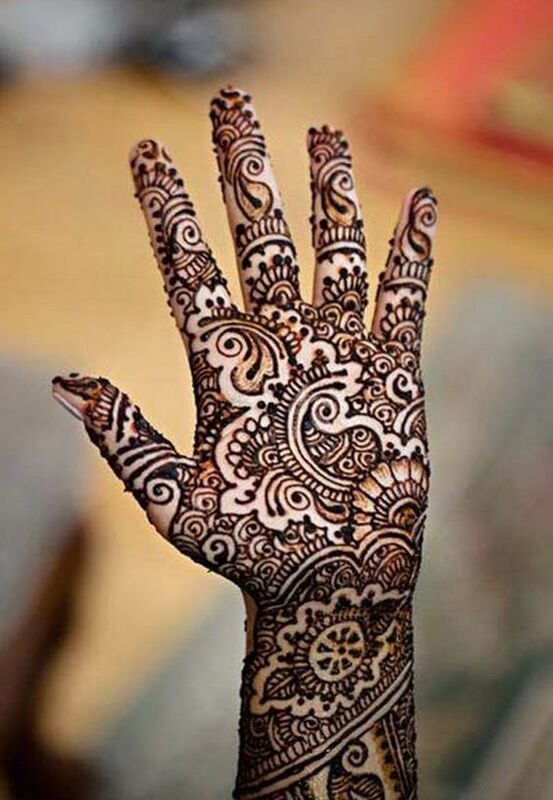 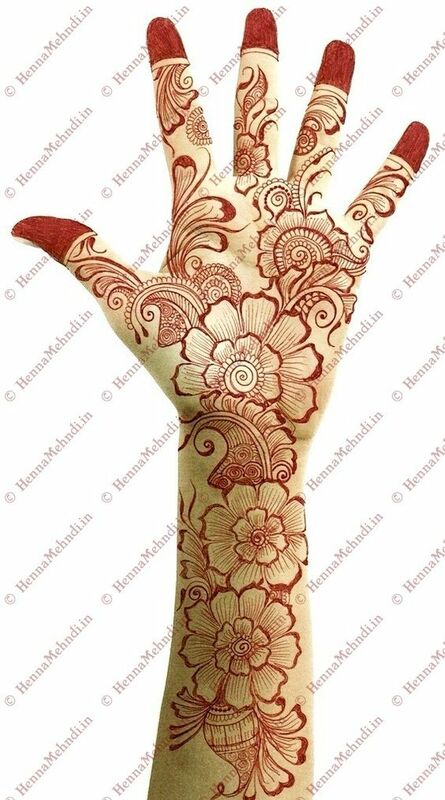 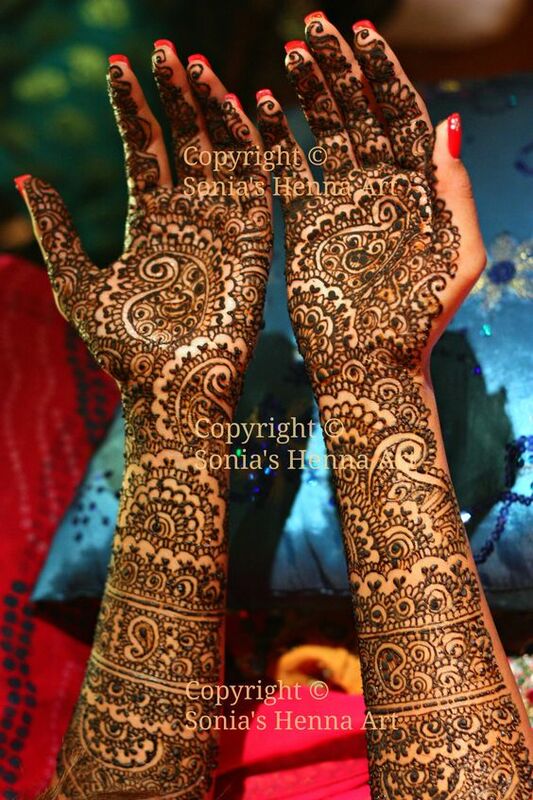 Mehendi is applied in double or even triple coats over the hands and feet. This is the reason that these designs lasts for a longer period and leaves better and prominent color after washing the mehendi. 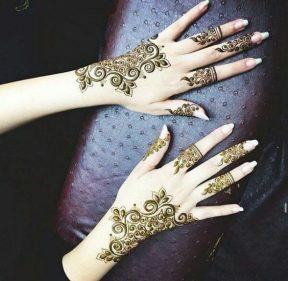 Arabic has majorly two different lines of designs. 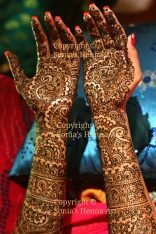 One has several simple mehandi patterns for casual events, and one series has bold and heavy patterns for brides. 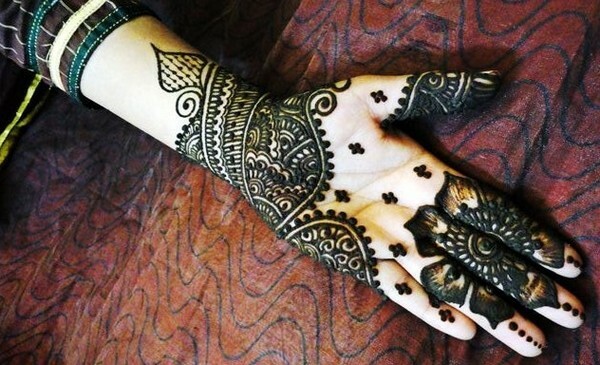 Irrespective of the type both forms of designs carry a strong Arabic impact on the patterns. The latest Arabic mehandi designs are full of floral patterns with visible petals filled with shades and fillings of mehandi. The flowers are applied with tonnes of spirals and delicate twig styles extending through the length of your hand. If you are good enough, then you don’t need any artist you can design one by yourself with little effort and understanding. 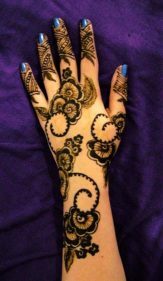 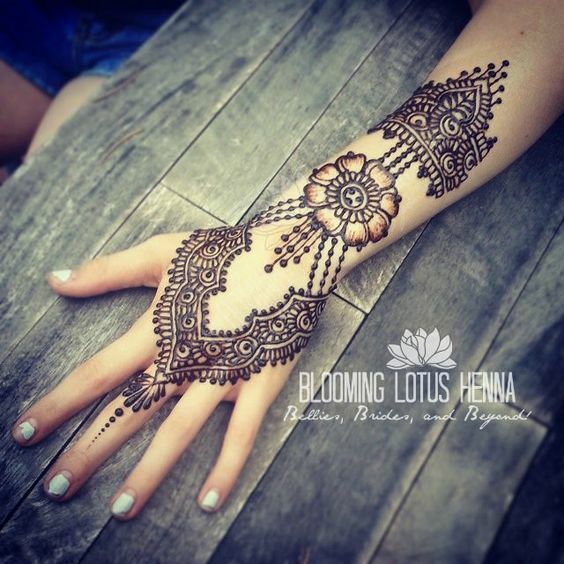 One of the many great reasons that Arabic henna designs are gaining popularity these days is because they are amazingly easy to apply, and you can apply in no time. 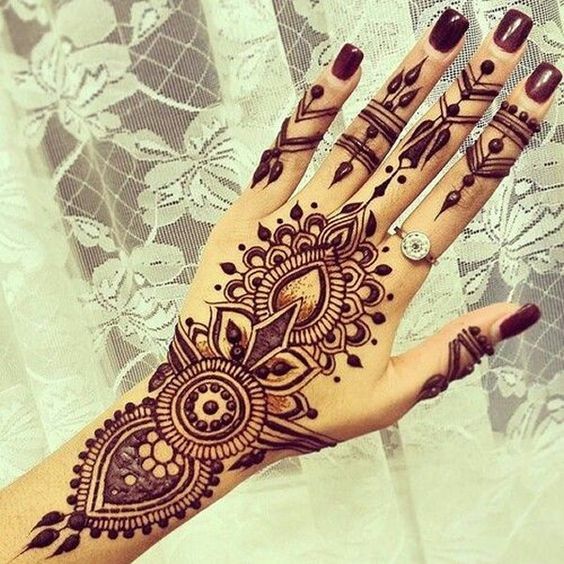 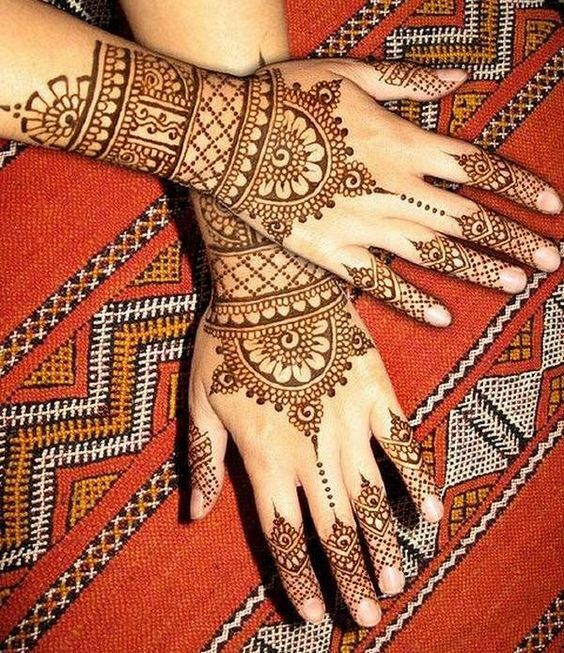 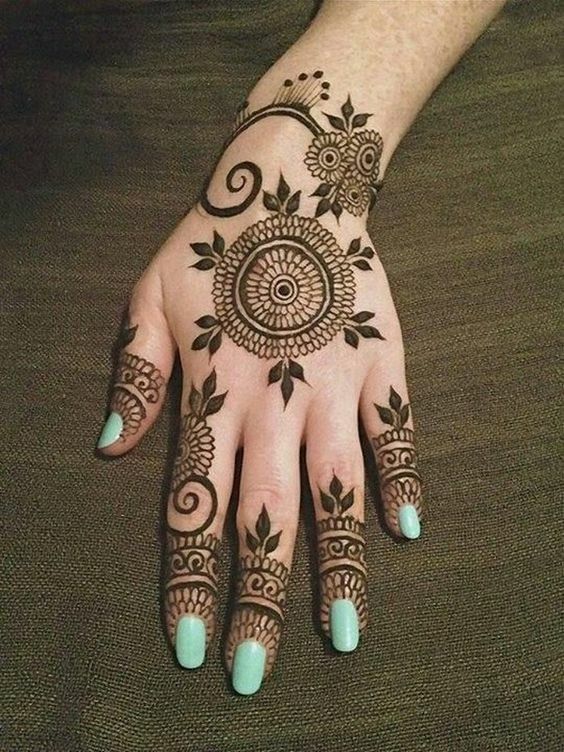 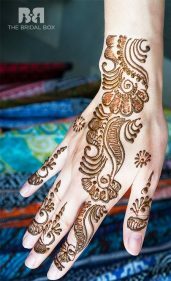 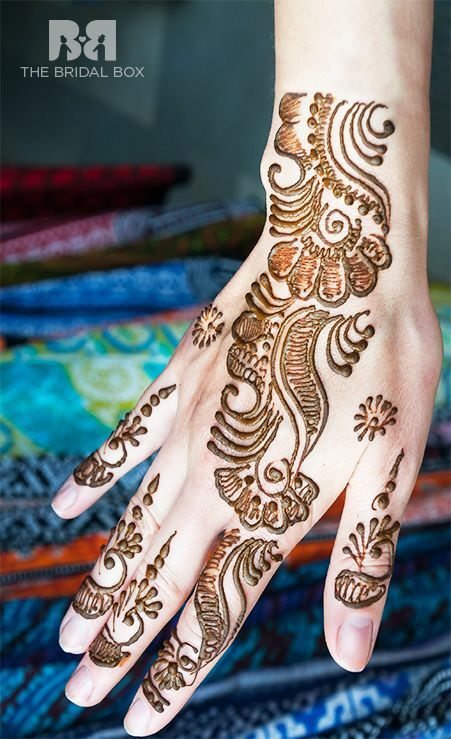 So whether you are going to be a bride or you going to attend any festive event, Arabic henna styles will give you all to adorn your pretty hands. 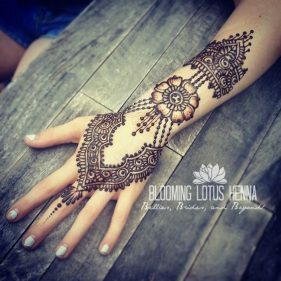 The latest of these designs for the year 2018 has more sophistication and elegance in the patterns. 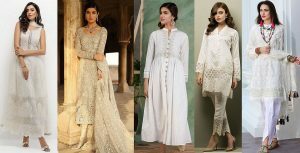 With more decent patterns and less heavy application of mehndi coats, these styles are gaining new heights of popularity. 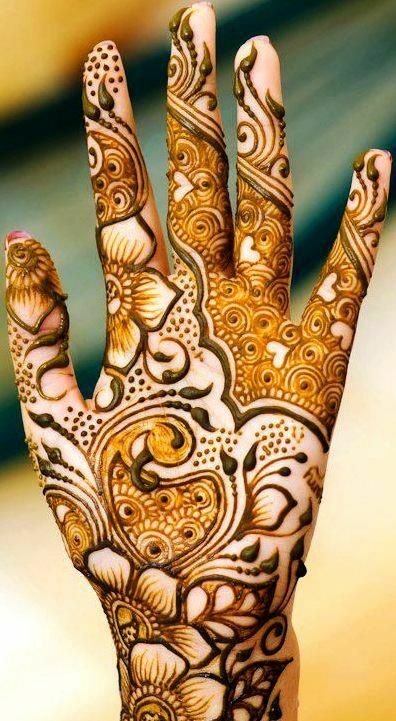 Criss-cross patterns are the new addition that adds up beauty to the floral motifs. 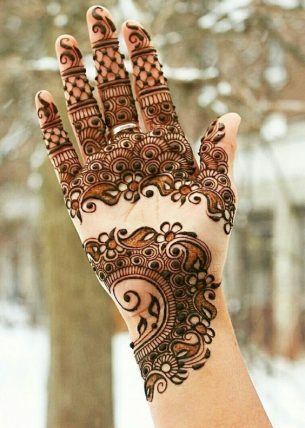 These patterns are given the effect of network spread over the hands. The designs have separate series for arms if you want to get whirling motifs around it. 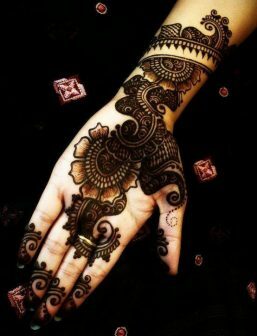 Each Arabic design for a hand is created to complement the designs for feet. 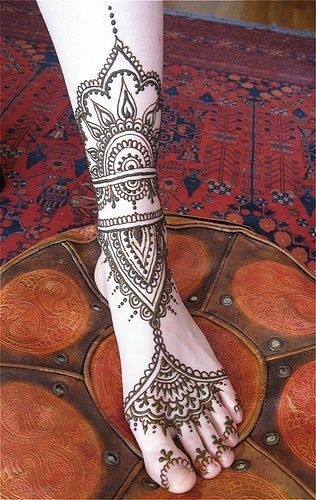 As heavy as it looks, it seems completely perfect to apply on feet while you were wearing silhouettes on some wedding event. 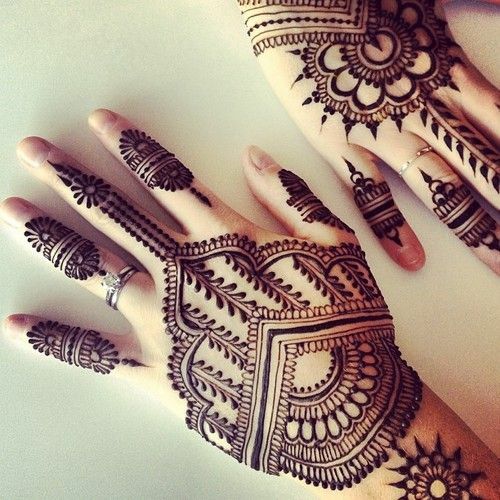 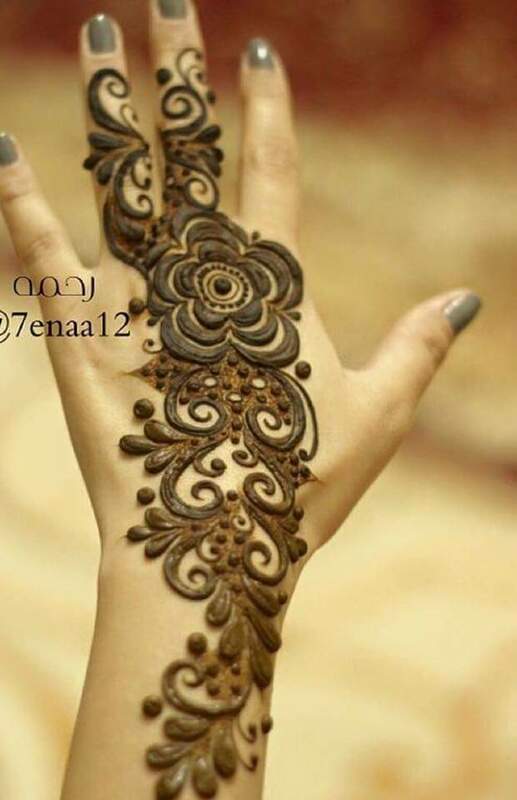 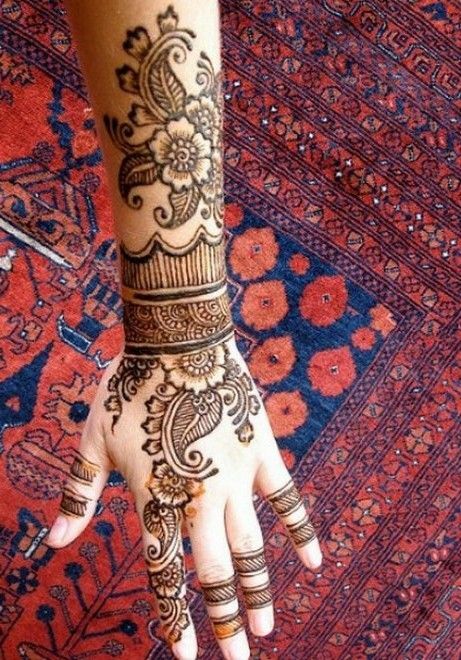 Arabic henna style has its way of beautifying your hands and feet. 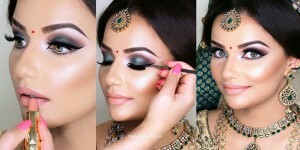 With the little effort and extra care, you can too have some extraordinarily magnificent and fascinating look. Of course, if you are great mehndi lover then nothing can keep you from trying these latest Arabic mehndi designs. 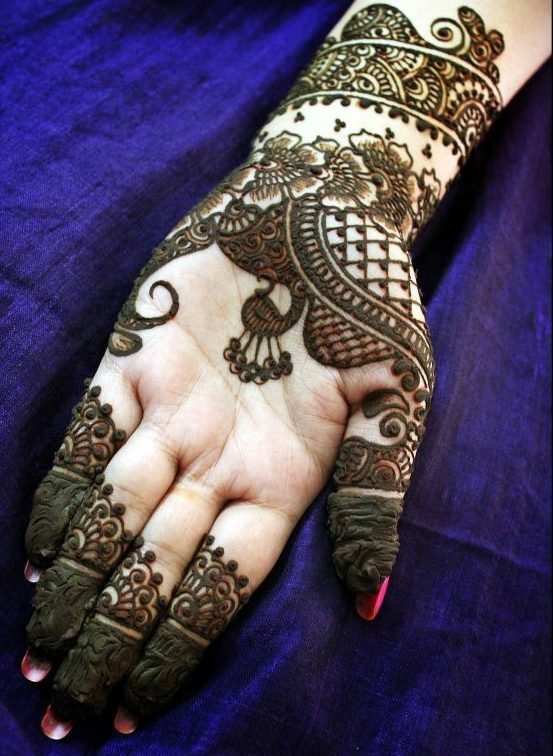 Make your hand and feet look prettier with the most traditional outlook and desi appeal. 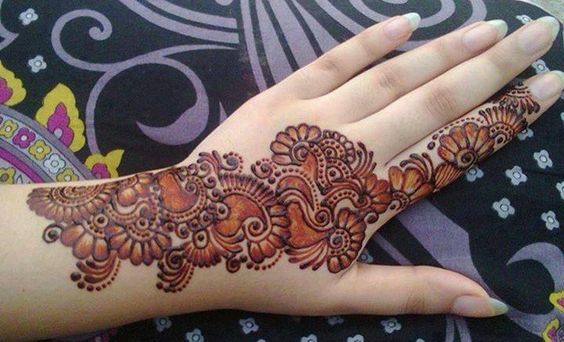 have a look on the below-posted gallery of Latest Arabic Mehndi Designs.